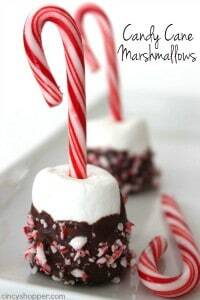 Now that candy cane season has arrived, these Chocolate Dipped Candy Cane Marshmallows are great for dipping in your hot chocolate or even to gift. 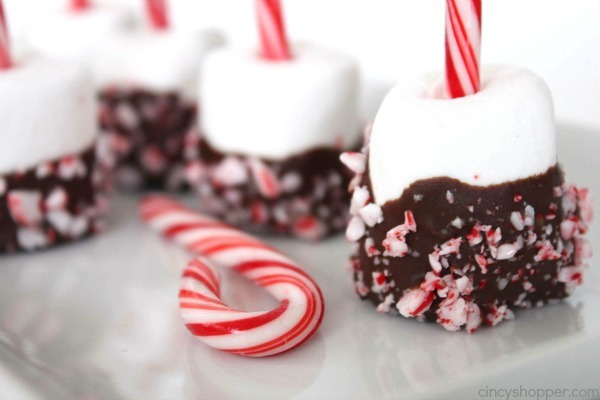 Chocolate and peppermint are perfect together and taste AWESOME when dipped in your hot cocoa. I always purchase boxes and boxes of candy canes when they are on sale during the holidays. 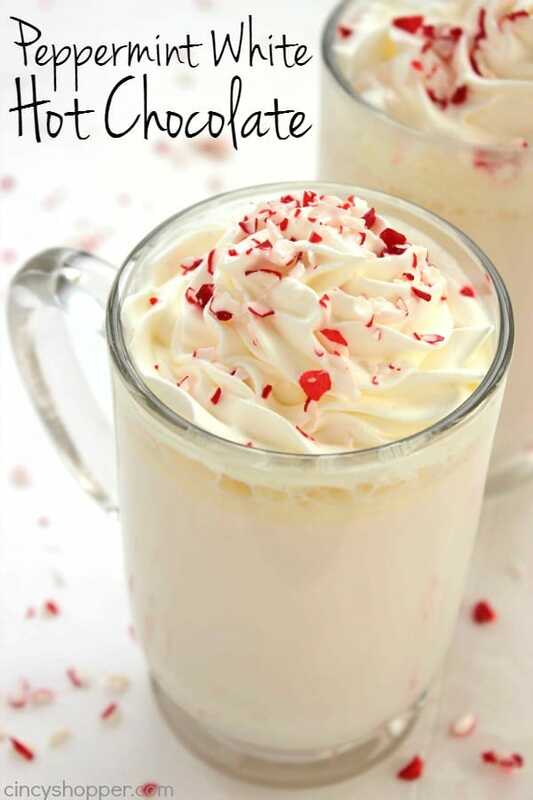 We love Homemade Peppermint Hot Chocolate and candy canes are perfect for adding on top of gifts and for making sweet treats to enjoy. 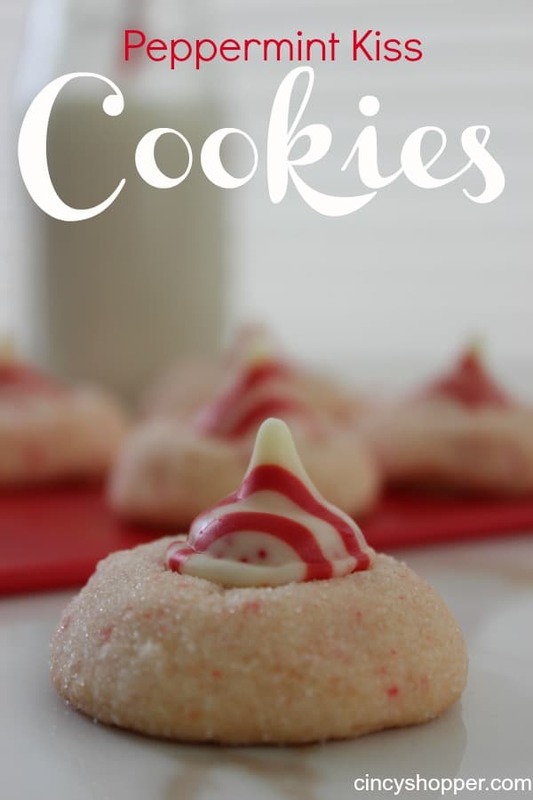 Last year, I shared our Peppermint Kiss Cookies and they quickly became a favorite Christmas cookie with my family and friends. 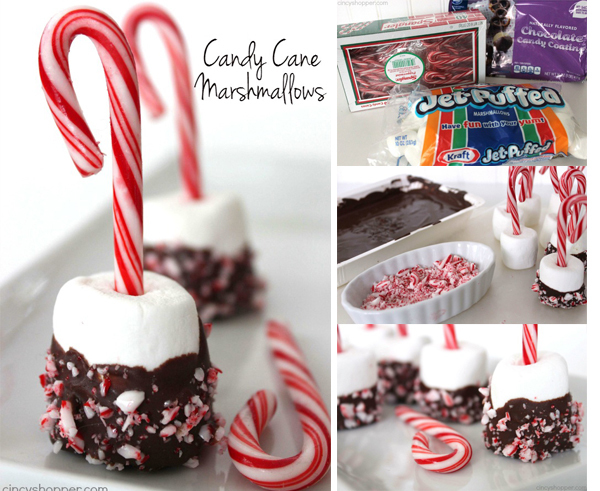 I had quite a few boxes of Candy Canes left over from last Christmas so I whipped up these Candy Cane Marshmallows to set beside our Crock-Pot Hot Chocolate during our Christmas day family party. They are super simple and look so cute. I even gifted a few of them last year. I just placed them in clear favor bags purchased at the Dollar store and tied on some ribbon and a Christmas tag. They were perfect. These little novelties are so super simple to make. 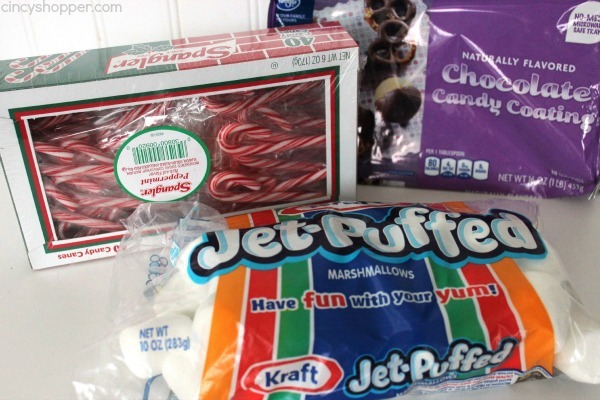 You will need some marshmallows, melting chocolate, and some mini candy canes. So super simple. I made a dozen but you could make however many you will need. Cover a cutting board or cookie sheet in wax paper. 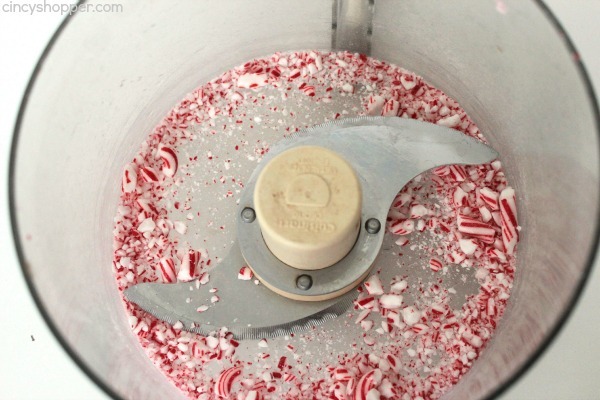 Place 12 candy canes in food processor and crush. Insert one candy cane in each marshmallow to act as a stick and place on prepared sheet. Melt chocolate by microwaving for 45 seconds and stir. If not complete, alternate heating for 15 seconds and stir until smooth. 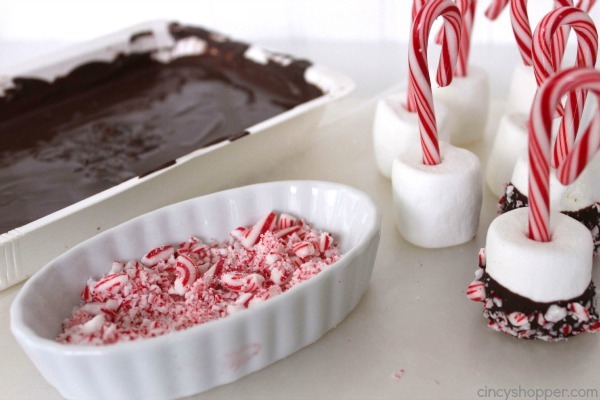 Dip each marshmallow half way in chocolate and immediately sprinkle with crushed peppermint. 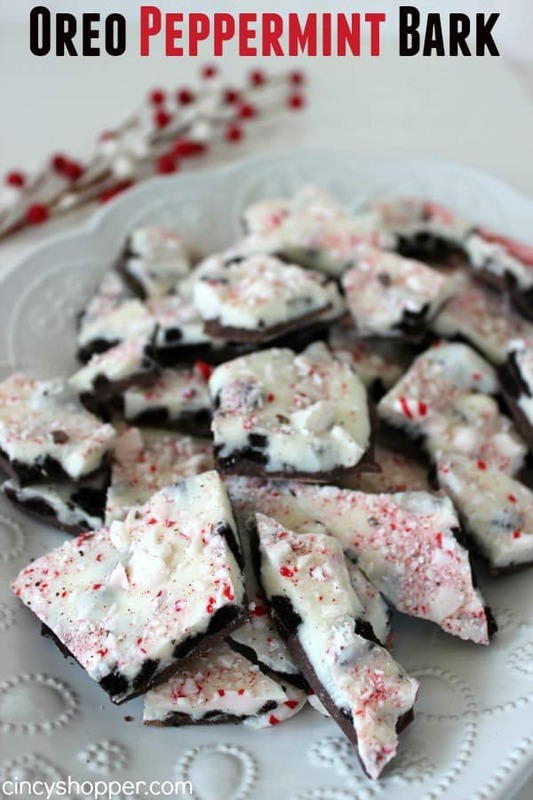 Are you a fan of peppermint? 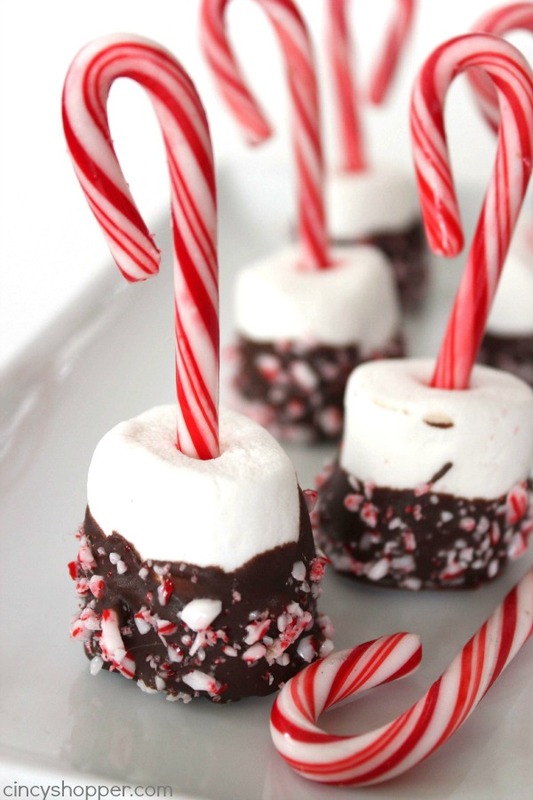 We love our peppermint and I love that these Chocolate Dipped Candy Cane Marshmallows are so festive and add a holiday flare. Melt chocolate by microwaving for 45 seconds and stirring. If not complete, alternate heating for 15 seconds and stirring until smooth. Oh what a fun and cute idea! Thank you so much for sharing at The Wednesday Round Up and we hope to see you back next week! You have some fantastic looking recipes! I have several on my grocery list to try. Thanks.